It seems every suburban corner store has been transformed into a cafe with tongue-and-groove walls boasting fresh paint, shelves heavy with house-made preserves and a breezy verandah to put your feet up. However, it's more than location that wins return customers. Punters are also after banging coffee and dishes from a kitchen that thinks properly about what it puts on the plate. 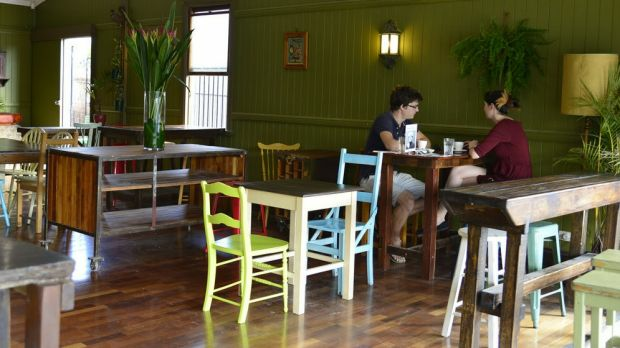 Here's Brisbane's top 50 cafes going above and beyond avocado on toast. 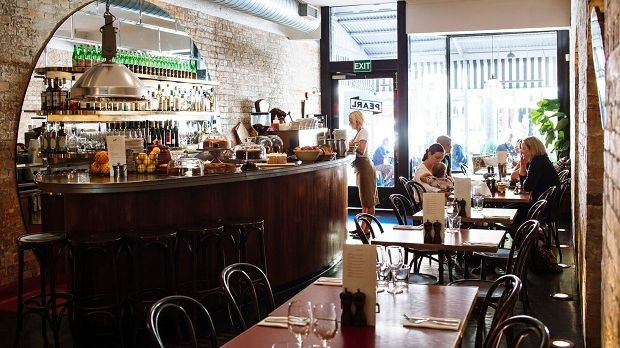 A stayer and a superstar of the local dining scene that's loved for its good looks. We're talking Bentwood chairs in a big airy room with rendered walls and high ceilings, and food prepared and delivered with heart. Temptations include croissant French toast with citrus-poached stone fruit, raspberry coulis, mascarpone and an autumnal fall of rose petals. 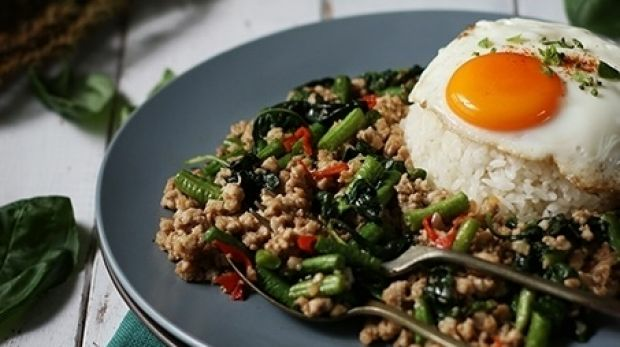 The schmick pocket rocket with a cool literary name delivers us from hunger with well-sourced produce in simple creations. Expect quality olive tapenade in your eggplant jaffle and pecorino on your sandwich. Also to be loved is the bar switcheroo at night when you can knock back tins from Pirate Life and Balter Brewing. A lot of fun and canine-friendly. One of the city's most loved breakfast spots, popping out generously loaded plates that venture beyond the norm – from a grain-free, gluten-free sweet potato hash with kale, pancetta, coconut-roasted pear and a poached egg, to a smoked haddock Croque Madame on grain sourdough. Boisterous crowds gather, grabbing filled rolls or fresh pastries while gazing into the Euro-chic end of Logan Road where restaurants, antique stores and a violin maker add up to something absolutely fabulous. The classic sweets here are next-level delicious, such as the banoffee pie and apple cherry shortcake. 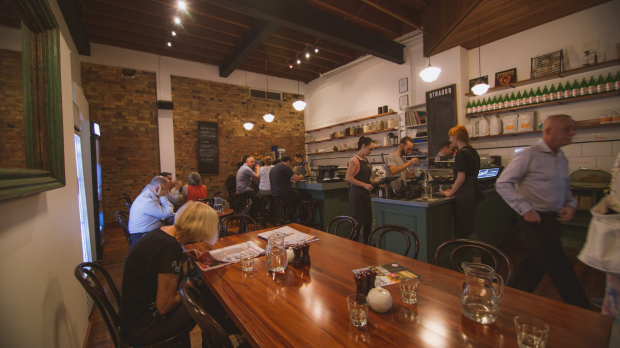 This much-loved neighbourhood cafe is the sibling of chef Ben O'Donoghue's popular West End-based Billykart restaurant and bar. Both kitchens go the extra mile to break out excellent finds and top-notch coffee. This is an operator who really does do everything from scratch – even that almond milk in your coffee was made onsite. An architectural beauty spilling over two levels of an old 1920s building beautifully stripped back to reveal brick and vast expanses of concrete. The coffee is bang-on and the food menu floats out interesting and clever combos. Try the smashed peas and broad beans on sourdough with preserved lemon, dukkah and a poached egg. There's something awfully nice about sitting in the bakery when the goods are brought to the counter still warm and sending delicious aromas into the universe. There's eye-candy of the baked kind on every flat surface in this buzzing nook just off busy Sandgate Road, including fresh breads, bagels and bomboloni. Expertly sourced, roasted and extracted coffee and a pleasantly diverse menu of breakfast and lunch offerings pull the crowds here. There's also a cupping room with weekly sessions for anyone keen to broaden their knowledge of the bean. 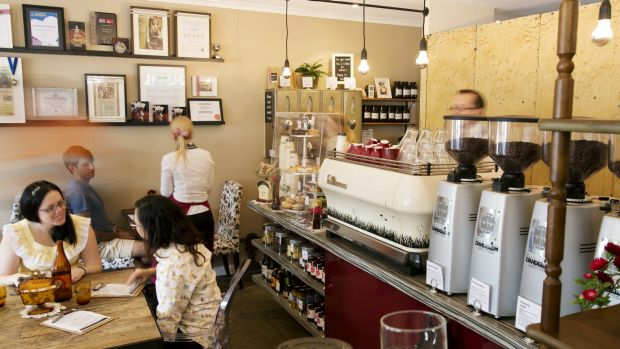 A cafe that manages to be instantly modern yet with an old Queenslander sensibility about it. We are, after all, in an actual old corner shop. There are spacious outdoor and indoor seating options but they still manage to fill, especially on weekends when locals rock up for fresh menu options and sweet things baked in-house. Exceptional coffee, complete with tasting notes for those who want to know what's perking them up. 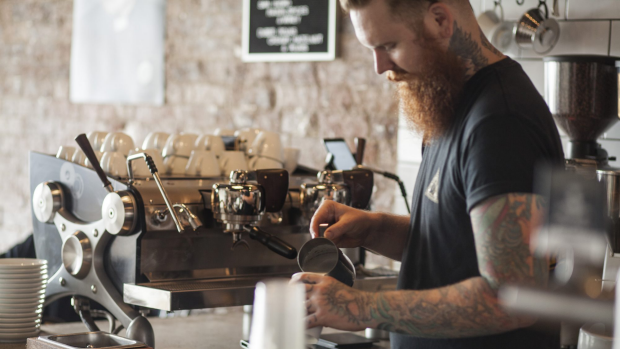 Set in sweet surrounds and run by a couple of noted peeps of the Brisbane coffee scene who also own Wolff nearby - a roastery, espresso bar and barista training centre all in one big, caffeinated warehouse. A surprising find in a suburban strip serving interesting food with finishing touches made from scratch like spicy eggplant kasoundi and a bright, aromatic basil oil. Considered specials featuring carefully sourced produce are advertised on the blackboard each week and the gluten-free cakes are a hit too. Pick up a jar of onion jam or peach relish on your way out. Loved by locals, this long-time favourite with its eclectic interior and cool courtyard lure the crowds with a considered cafe menu of crowd pleasers like zucchini fritters with mint yoghurt sauce and poached eggs; and a quality falafel on pita with house-made onion jam and salad greens. One of Brisbane's most stylish coffee pockets sits appropriately close to the city's beloved GoMA for those wanting to make a design-fuelled day of it. The cafe is from the same stable as Sourced Grocer at Teneriffe and uber cool small bar Maker a bit further along Fish Lane. Expect the unexpected from a kitchen team pushing into progressive terrain with hard-to-find elements, house-made ferments and their own sourdough breads. Gauge is also open for dinner and was awarded Brisbane Times 2017 Good Food Guide Vittoria Coffee Restaurant of the Year. It's like the homestead of Anstead calling its people back to big wide verandas for lunch in the sun. With green fields and horse feed shops as neighbours, it has the rural vibe nailed, along with a big hearty menu of simple food done well such as crumbed pork loin with charred capsicum and corn salsa. The cheery team in this sunny corner spot takes their coffee seriously and teams it with a likeable menu of fresh things. The breakfasts offerings break into cool terrain with plates such as roast cauliflower with almond, tahini yogurt and a poached egg made Instagram-ready with fresh greens and pomegranate seeds. Flavour bombs land at the tables here in the form of properly hearty breakfast and lunch dishes. As the name suggests, jars of jams, chutneys and pickles are part of the charm here but so is filling fare from a kitchen that understands flavour. 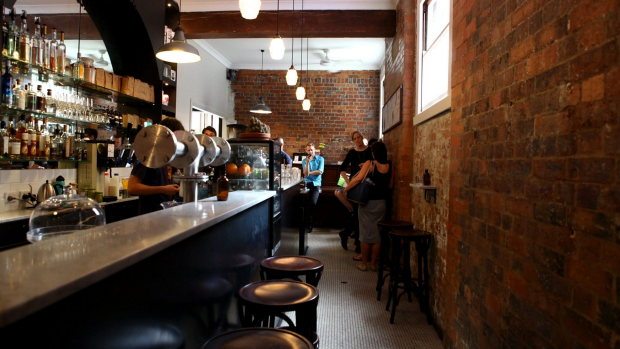 One of the first fully fledged laneway cafes, in a historic CBD building, John Mills Himself keeps locally roasted beans on rotation in the grinders, stocks beautiful pastries from Newmarket's Crust & Co, and flips into a bar from 4pm Tuesday to Saturday. We love that all beer and wine is sourced within a 250 kilometre radius, too. A firm Brisbane favourite. It was written on the wall that the hipsters would flock here – that's owner Asa Boardman's own illustration up there, multi-skilled chap that he is. There's a cool vibe and menu pushing into interesting breakfast terrain such as the banh xeo (Vietnamese crepe with pork prawns, fresh herbs and nuoc cham sauce) and oatless bircher muesli with apricot, coconut cream and apple gelee. Located on the fringe of James Street's glam shopping precinct, the King is a bright and white spot to escape from the world with organic sandwiches and a counter top perpetually lined with fresh-baked temptations. There's a ripper little wine list, too - crack a chilled bottle of Pat Sullivan Jumpin' Juice to start the day in good health. Yes, it's that place you drive past on the weekends with happy crowds spilling out to the footpaths, and there's a reason for the popularity. It has much to do with the loaded-burgers but there's finds that venture beyond the usual, like vegan okra and black-eyed pea gumbo on sourdough with crumbled soft tofu and dukkah. The cute name relates to the history of the building – for a few decades previously this was an aquarium and fish shop. The former owner still has a hand in this incarnation by tending the hives out back supplying the cafe's honey. The kitchen works closely with local suppliers and the menu is full of eat-me-now cafe classics. Warehouse ambience is amped up to 11 in this newish spot that has grown up at the distribution point for Genovese coffee. A devoted local tribe has embraced this space since it opened, lending it a true sense of community. A ray of sunshine beamed down this bright spark on Trafalgar Lane, complete with bespoke furniture, high-end coffee and charming things popped fresh from the oven. That's Lola in the wall art by the way and yes, there's a story there if you care to ask. It's almost a shame to tell people about this small, chic Italian espresso bar tucked away in Tattersall's Arcade, as it's such a joy to chance upon. Think bruschetta fragrant with basil, chock-a-block filled panini, plain and simple eggs on ciabatta, or perhaps a nice caprese salad for lunch. This stylish nook floats out a seasonally adjusted menu with such gems as a caramelised onion potato hash with spicy lamb merguez, fresh spinach, tomato relish and poached egg. Expect tempting cakes vying for attention on the counter. Green smoothies, juice combos and attractive salad-type things are the attraction here. The seasonal menu changes regularly but one hit is the gluten-free toasted banana bread sandwich with toasted nuts, fresh fruit, maple syrup and a cinnamon labneh. Hidden away in a quiet-ish street, M&G is just the spot to soak up vintage vibes while sipping your expertly extracted coffee. Crowd-pleasing favourites from zucchini and corn fritters to black pudding potato cakes can be found on the cheerful and approachable menu. This light-filled modern beauty offers up a menu to match its good looks and laid-back atmosphere. Over corn fritters? Try a sweet corn pakora instead with fried egg, haloumi, avocado, smoked corn and tahini yoghurt. It's just one of the many colourful plates delivered to the breakfast crowd. An on-trend sprawling edible garden, busy with native bees in the backyard, adds to a very likeable offering in a corner shop that retains its olden days atmosphere. Also to be loved is the beaut coffee, roasted in-house as the name suggests. Applauded by locals and worth driving across town for, Pablo wins hearts for colourful dishes, fully loaded. Even the bircher sets a fresh pace with roasted rhubarb compote and saffron honey in the mix with berries and mint. 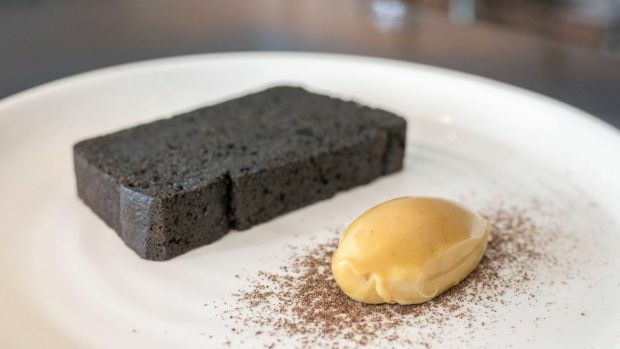 Pablo's slick new sibling, The Priory Kitchen at Woolloongabba, demands a visit, too. Timeless European ambience meets contemporary cafe fare at one of Logan Road gem. The kitchen strives for excellence in sourcing and technique to give us simple, beautiful food without gimmicks. What's not to love about pork and fennel meatballs with passata, beans, pecorino, anchovy and a fried egg? Truly stupendous cakes are popped out of the oven, too. At first glance it's all about the rustic warehouse, but give the menu a go and you'll be rewarded with fresh fun such as hefty sandwiches – perhaps with mushroom, ricotta, pecorino, smoky eggplant and rocket - or a sausage number hunky with provolone, spinach, fried egg and onion jam. There are plenty of spots for sipping your coffee in the morning sun. A little dynamo that won a following for great coffee and simple food that also caters to vegan, dairy-free and gluten-free customers. Burgers, subs and wraps are in the mix and you can grab house-made condiments to take home. Worth following on social media as it's prone to wheeling out a food truck a few times a year..
A heart-and-soul sort of place with a charming black-and-white mural featuring the French owner's family at an early 20th-century wedding. 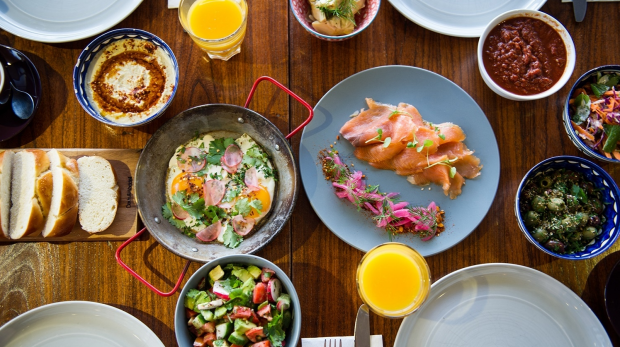 Pompidou presents a European menu of consistently beaut breakfasts like hash browns with avocado, capsicum jam, bacon and poached eggs; and chickpea and carrot pancakes with hummus, labneh, wilted spinach and chorizo. 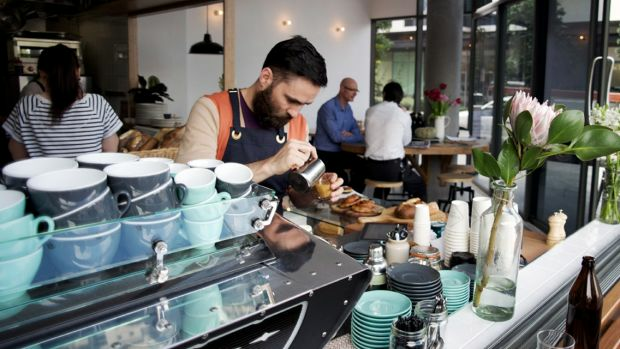 It's a simple concept – excellent coffee and brilliant sandwiches – taken to the top level via a devotion to only using the best ingredients, that has won Pourboy its breakfast, lunch and coffee tribes. It's a friendly oasis in the city that serves as a haven for office workers and business folk and, for many, the home of Brisbane's best reuben. There's a lot to love about this magic corner developed by one of Brisbane's best known chefs, Dominique Rizzo. 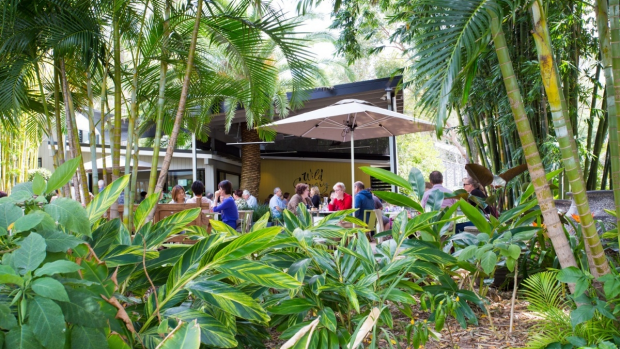 There's the big leafy tree that casts dappled light over your table in the courtyard, the stylish modern interior where cooking classes are hosted after hours, and generous plates that bring some of Queensland's best seasonal harvest straight to your table. For those who worship at coffee's altar, your prayers are answered in this pocket of the Valley where approachable burgers and toasted sangas put a smile on your face and well-extracted beans inject the kick in your pace. Lunch might be a brioche bun made high with shredded brisket, blue cheese, slaw and house-made beetroot and plum chutney. Reverends morphs into small bar at night with a tight selection of small-batch beer and wine. Amen. 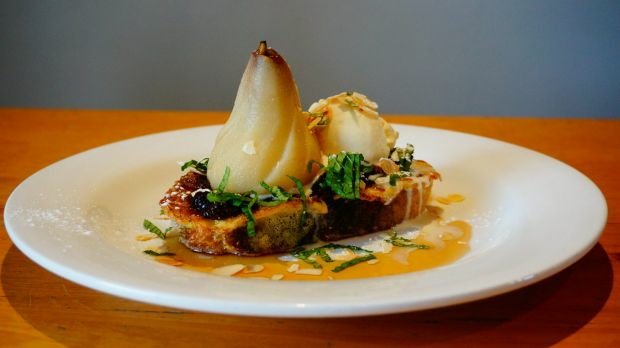 Owner chef Michael Hoare's carrot jam is a bit of a thing for Brisbane breakfast crowds with many fans following him around other cafes before Sarmic opened in 2015. At this charming spot in a quiet street, Hoare also makes a range of other splendid things in jars he spills onto the breakfast and lunch plates. A small, engaging space in an old house where fresh things are popped out of the oven to lure passing foot traffic. Food is homely and the coffee beguiling. Your rissole sandwich on soft white bread will come with a tomato relish made on site and you might forgo a chair in the sun for the communal table out the back where cool zines seal the deal. Charming stuff. If you're not scared of decisions, front up to the big diverse menu they float out here at the super cool Shady. A bit of mining can reward you with savoury kimchi pancakes made irresistible with pulled pork, poached eggs, pumpkin, romesco hollandaise and date and onion jam, or the 'Gringo' spiced mince and cheese quesadilla with a fried egg, pineapple salsa and house-made ranch dressing. One of Brisbane's more unique cafe settings with street art from the top in their field including Sydney artist Anthony Lister. There's even a breakfast dish named in his honour that you can enjoy while gazing upon his work on the wall over yonder. The warehouse dining space is big and beautiful and the staff are some of the friendliest around. menu that is interesting and far-ranging. We're talking Belgian waffles with macerated strawberries, Tasmanian pepper berry ice-cream, balsamic vinegar gel and caramelised pecan powder, or slow-cooked lamb shawarma served with flatbread, hummus, pickled red onion and artichoke heart. These are considered plates ready for their close-up. 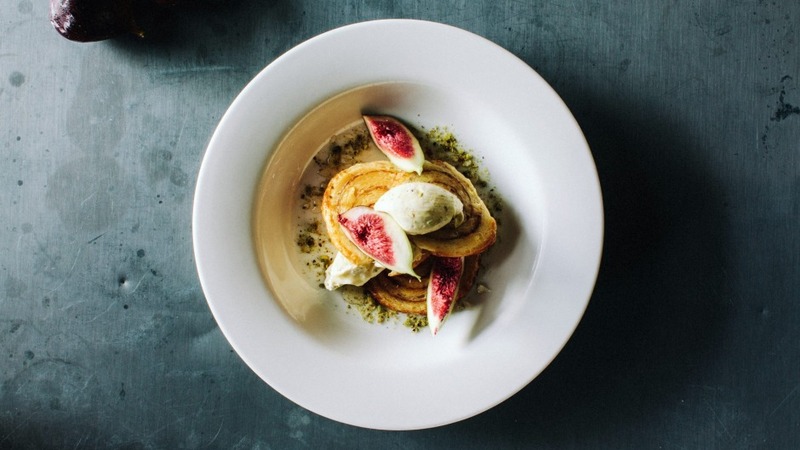 A grocery store with wow factor where locals rock up after yoga or on the way to work to find such offerings as rye crumpets and honeycomb, or house-made leek ash spaghetti with black garlic, egg yolk and bottarga. The open cafe and retail space is lined with shelves of fresh goodness and handsome packages to take home for dinner. A hip city slicker in a cool laneway. Seek it out and you'll be rewarded with fast, pristine service in a brick and timber surrounds. As the name suggests, we're dealing with refinement here, in the ambience, coffee and the food. Strauss hits it for six. A kitchen emporium, providore and cafe that captures a gorgeous ambience in its historic corner shop location. Drop in for Toby's Estate coffee and a warm slice of sourdough form Danny's Bread; leave with a Le Creuset casserole pot under your arm. Complete with a gorgeous courtyard out the back, this place etched a spot in the neighbourhood's hearts with a concise menu of nourishing assemblies and sweet things in the cabinet. The coffee's always swell and the vibe forever friendly. 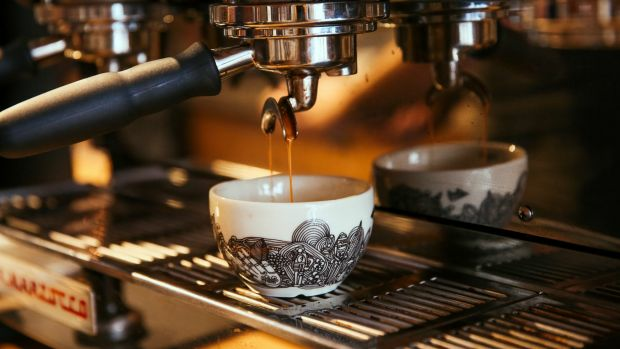 Where Kenmore gets its groove on, you'll often find a queue at the door and it's all about the serious commitment to cracking coffee with a top-notch menu. Lunch might be a salad of braised eggplant with heirloom tomatoes, almonds, pickled onion and a mustard vinaigrette, or a straight-up B.L.A.T with chipotle aioli. There are several places for coffee and food around the grounds of the beautiful Queensland Art Gallery and adjacent GoMA The Watermall Cafe is a hidden gem sometimes overlooked by the passing crowds but quite special for its outdoor area with dappled light under a massive tree, old school fountains and manicured lawn. Take a book and try to look arty. If the plant world gets you giddy, come here to start the day or linger over lunch. Nestled into the grounds of Brookfield Garden Centre with views over a vast kitchen garden, this little bird puts out botanically inspired plates that couldn't be more seasonal and fresh. The cakes cabinet, with its towering petal-strewn beauties produced daily, is an Instagram hit.